5 ml Herbal aromatic oil. The different aromatic components are wrapped separately. Every oil type has its particular aromatic profile. 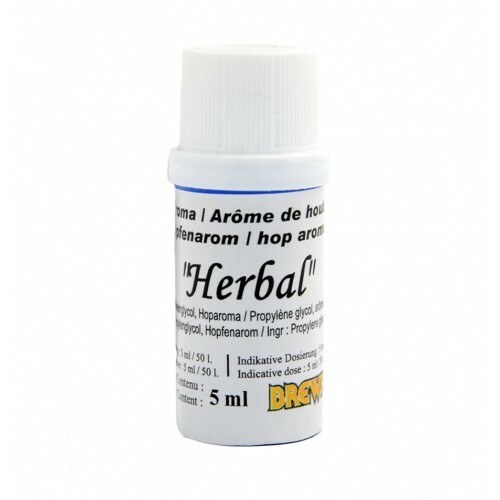 Herbal oil enhances hop perfume without increasing the eventual bitter character of beers. It can be added before bottling, use 5 ml oil/50 litres beer. Hop Usage: 5 ml. per 50 l.